Put a spin on typical Carolina barbecue sauce with this recipe for chicken. Treat your tastebuds with the taste of this barbecue pork. Brined chicken with fantastic flavor. 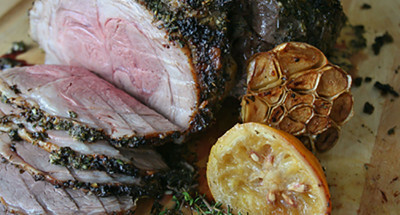 An extremely flavorful recipe for lamb, just in time for Easter. Lean Beef Tenderloin Roast with assorted herbs. This recipe is great for entertaining lamb-loving guests. Roasting brings out the vegetables’ natural flavors.